The Pacific War Online Encyclopedia: Evans, Geoffrey C.
Evans commanded 5 Indian Division during the pursuit of the defeated Japanese following U-Go. However, However, he was relieved due to illness and exhaustion in September 1944. 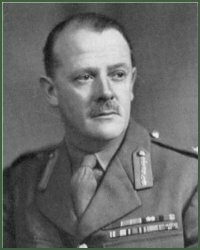 Following his recuperation, he commanded 7 Indian Division during EXTENDED CAPITAL, the 1945 British offensive in central Burma. Postwar Evans wrote extensively about the campaign in Burma.